I’m sad that it’s over, but it was a nice and relaxing long weekend. Lots of cuddling lap time with this little guy. 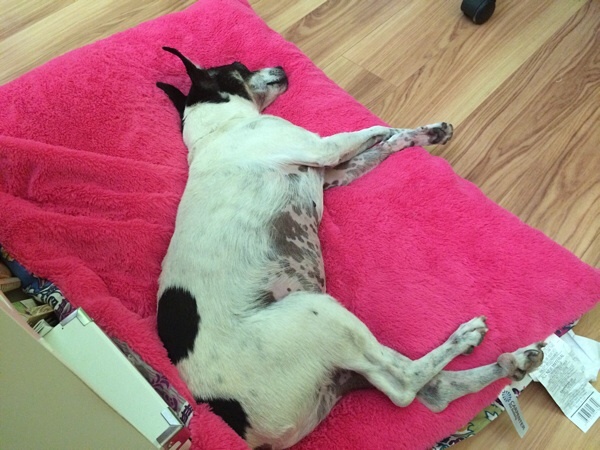 While Skipper has been content to chill inside and enjoy the air conditioning. 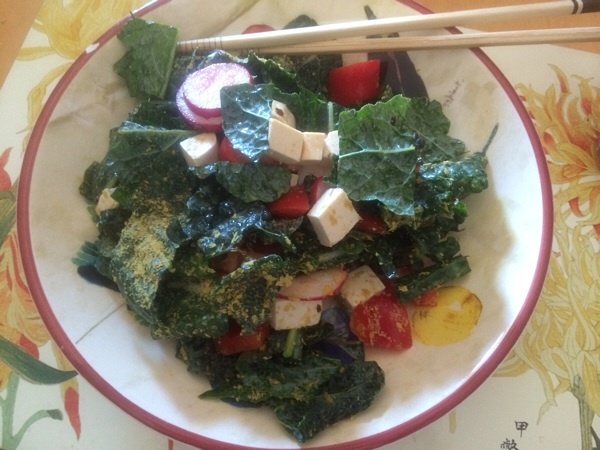 There have been a lot of great eats this weekend like this simple kale salad I threw together for lunch with firm tofu, peppers, and radishes seasoned with nutritional yeast, apple cider vinegar, and Trader Joe’s Everyday seasoning blend. It came together in minutes and had a lot of flavor. 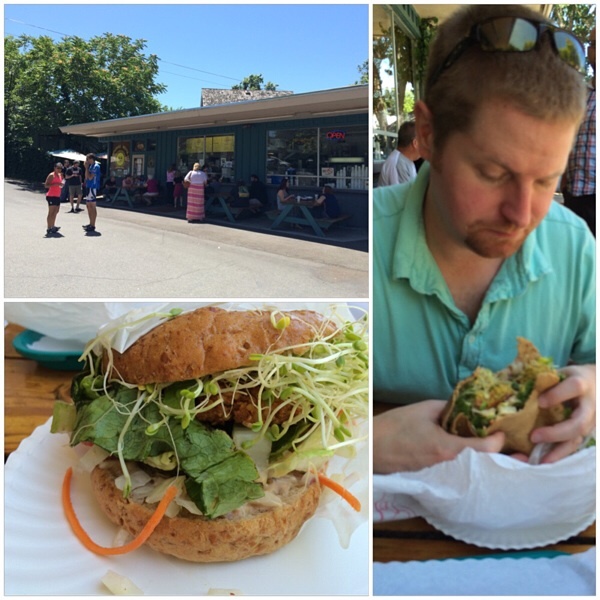 Hubby and I made a trip to Sunflower Natural Foods for lunch, a fun vegetarian\vegan drive in. Would you believe this is the first time I’ve been to it!? It’s a popular and fun casual outdoor restaurant that serves awesome vegan and vegetarian burger creations. I got the millet burger which was packed with veggies and sprouts. The millet patty had a satisfyingly crunchy texture that was delicious and a little messy to eat. Hubby got the falafel burger that was also great with a thicker patty that had a gooier center. It’s a very crowded and popular place, the order line was long the entire time we were there, but people did not seem to mind waiting for the food. And I’m looking forward to going back to try something else. 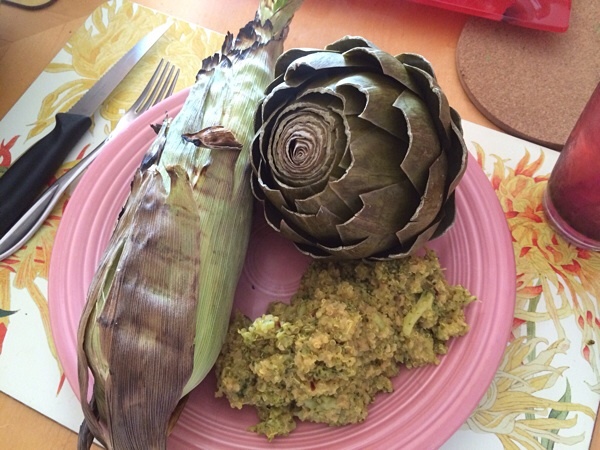 I also had this lovely plate of grilled corn, steamed artichoke, and curried quinoa and broccoli. Hubby did an amazing job of grilling the corn soaking it in water for about 1/2 hour first and grilling for about 15 minutes, the texture was perfect still being crisp and crunchy. Last night we had a fun and casual family get together for Memorial Day where I had another vegan burger. 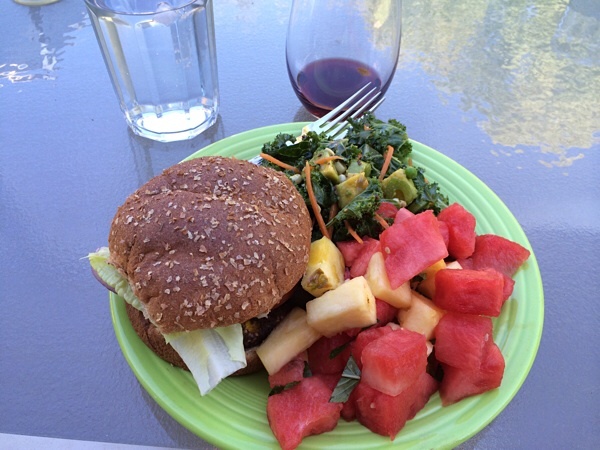 A Gardenburger Malibu Organic Vegan burger was grilled for me and I stuffed it with veggies, loaded a kale salad on the side, and a simple fruit salad of chopped pineapple, watermelon, and mint – such a perfect summer flavor combo. And I had the leftovers for lunch today, yum! 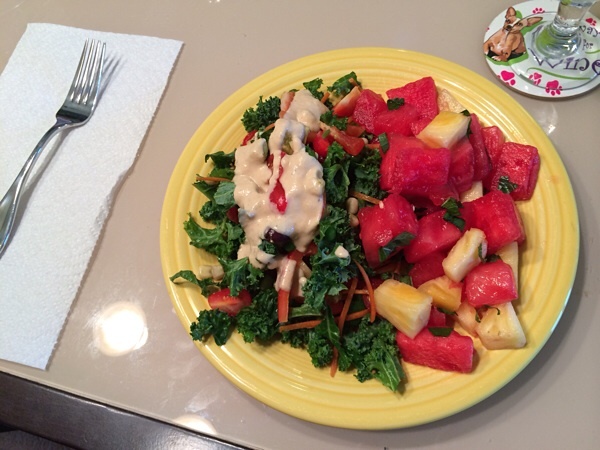 I topped the salad with a hummus dressing this time and the fruit salad was even better the second day because the mint flavor is slightly stronger and more refreshing. Finally, I tried something a little different for dinner tonight. I’m trying to perfect my skills in cooking without oil when I do cook. 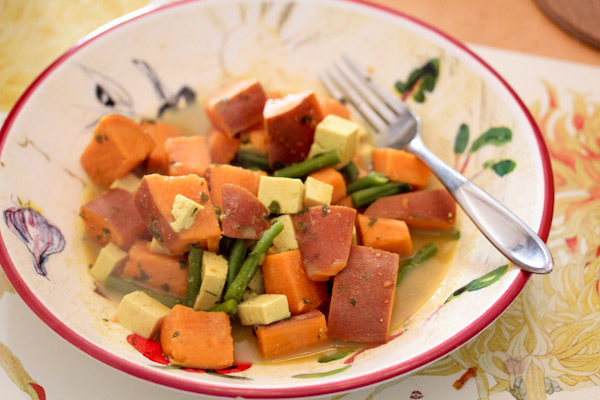 I chopped up a large sweet potato and boiled it in a little water with chopped tofu, green beans, curry powder, nutritional yeast, and a little garlic salt. 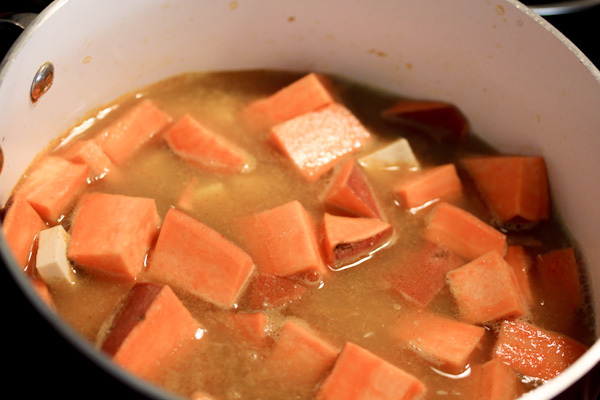 The large sweet potato chunks were nicely cooked and soft after about 15 minutes for a fast one-pot meal stew that was very hearty and filling. It was such a wonderful weekend of great eats. Back to the grind today, but I’m feeling much better this week with it being a shorter week and me not on call for work, woohoo! WOW! All of that wonderful, colorful, nutritious food! Awesome! 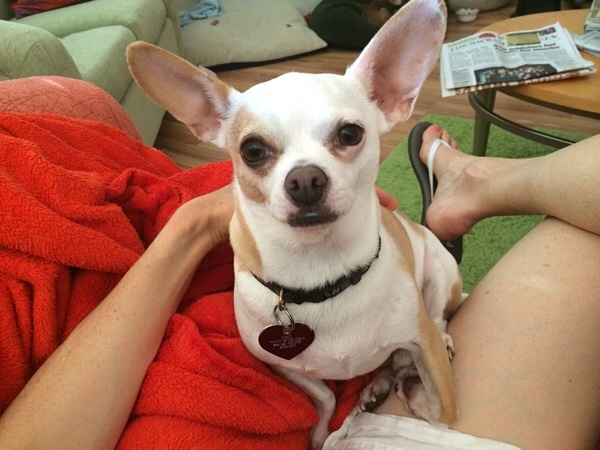 LOVE the looks on Miko’s darling face! I envy your restaurant choices!!!!! !